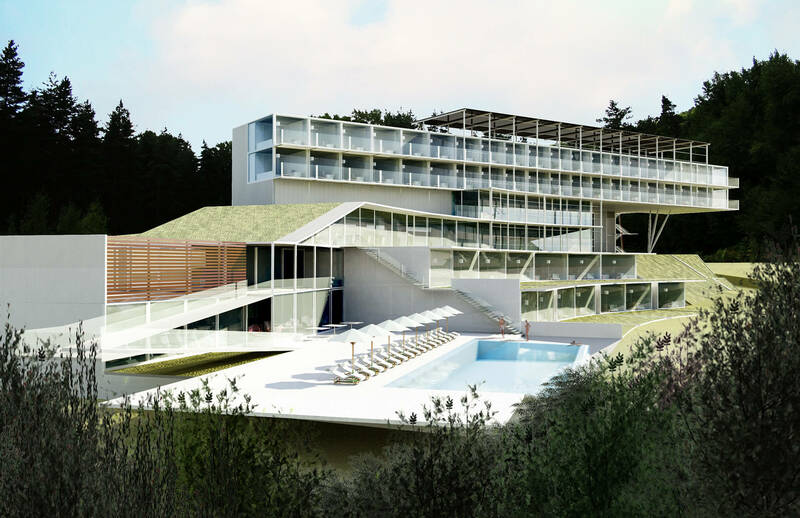 Located in the picturesque Rodophe Mountains in Bulgaria, this 250,000 sq.ft addition, remodeling, and renovation project is being conducted in the context of a quickly developing region that was the latest addition to the European Union. 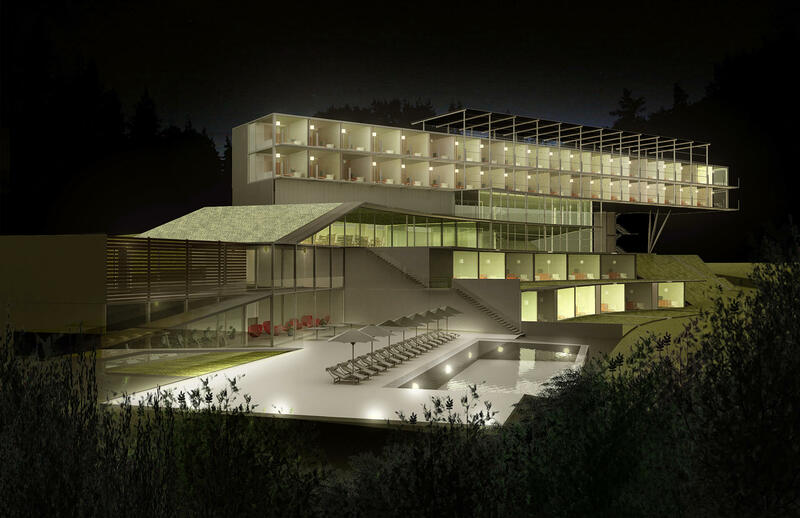 Featuring 110 time-share condos, six custom homes, 150 hotel rooms, a conference center, lecture hall, art center, spa, swimming pool, two restaurants, retail, sport facilities and an open amphitheater, the project is located on 14 acres surrounded by a centuries-old mountain forest. 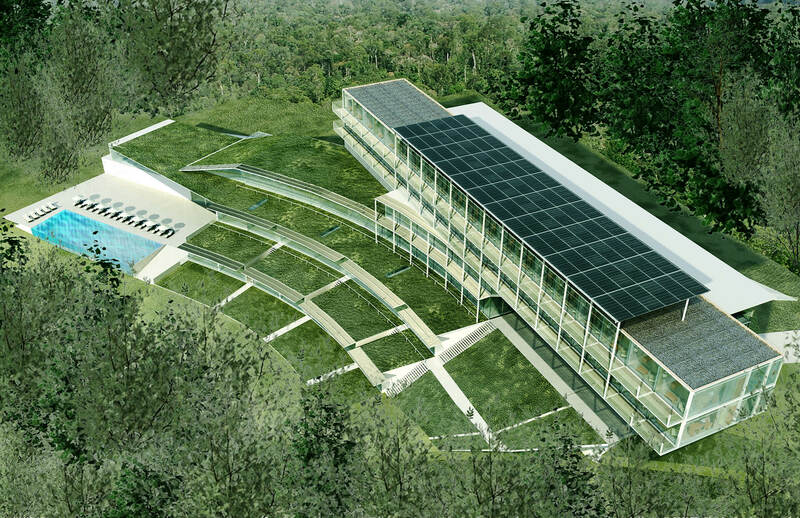 The complex will be an exemplary model of sustainable, energy-efficient architecture. 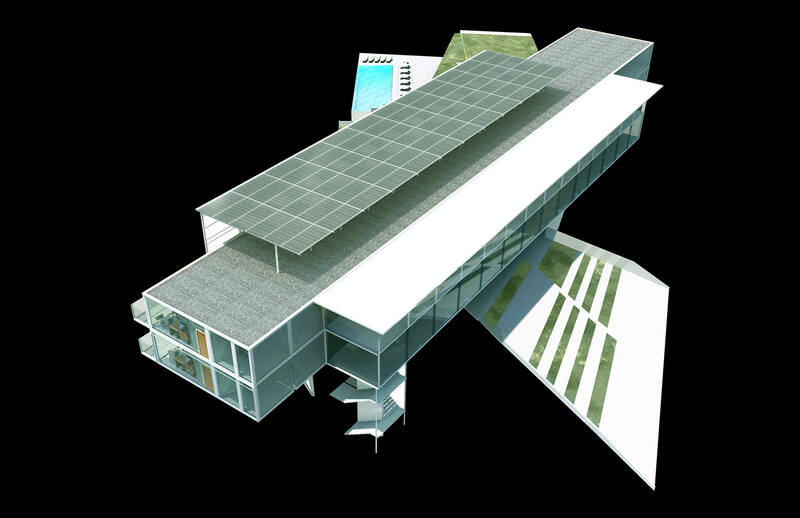 The project respects the uniqueness of the site by preserving the ecosystem, and restoring and remodeling the existing buildings with elaborate handcrafted details, while the new structures are in concert with contemporary construction techniques and will be carried out using a modern architectural language. 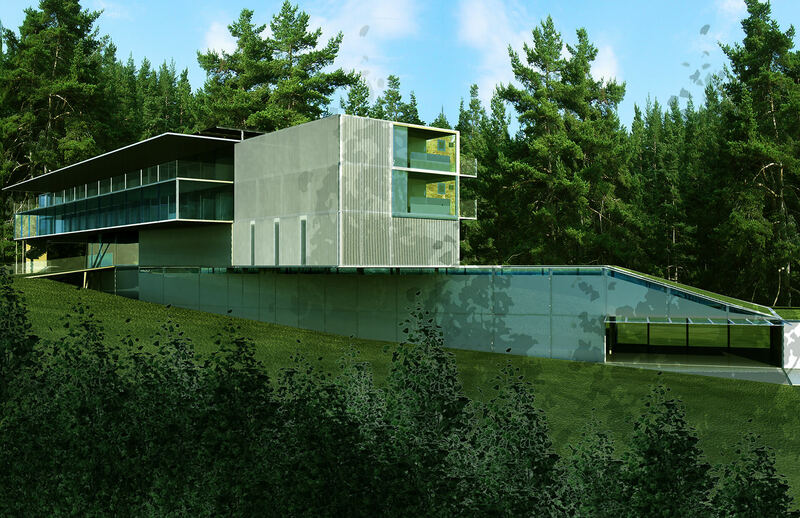 Studio Antares has been commissioned for the complete design service: from site planning through schematic design, construction documents and construction administration. 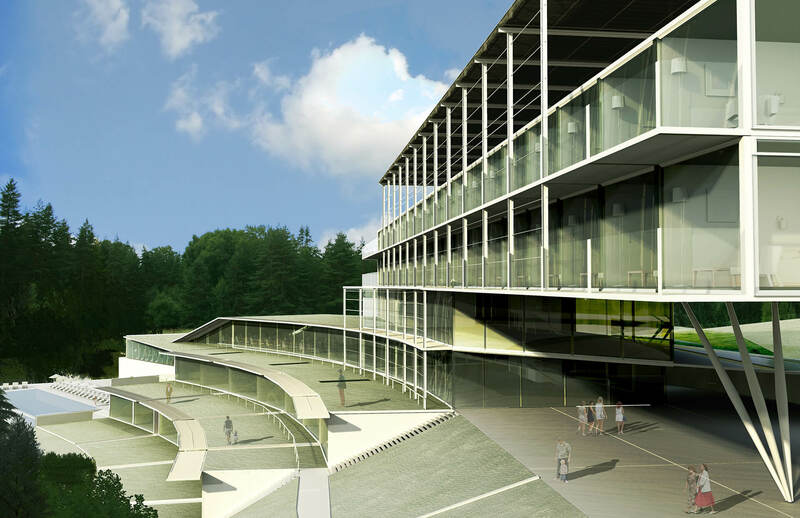 Under the overlapping fast track process, two of the buildings are currently in preparation for construction, while the rest of the six major buildings are in the design development and schematic design phases.